1 -Camino de Santiago means Way of St James and refers to the different routes leading to Santiago de Compostela, in Galicia. 2 -Santiago de Compostela means St James of the field of stars. 3 -There are many Camino de Santiago routes, starting in France, Portugal and Spain. 4 -Traditionally pilgrims used to start their ‘Camino’ from their own homes. 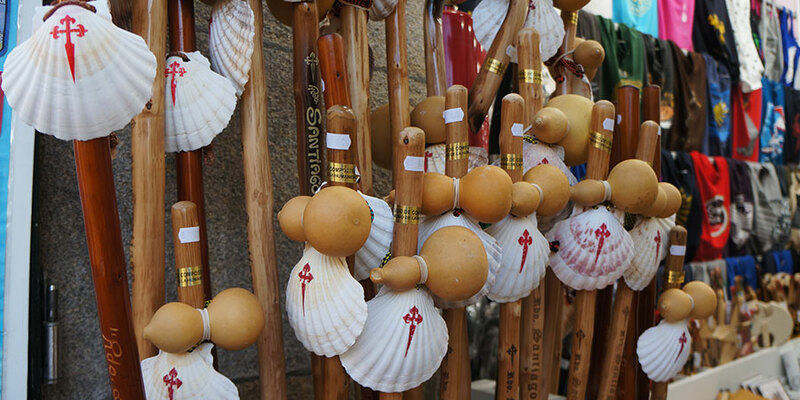 5 -The yellow scallop shell and yellow arrows mark the way to Santiago. Careful: the scallop might be facing different ways depending on the regions. 6 -The Camino Primitivo from Oviedo is the oldest Camino de Santiago route. 7 -However, the most famous Camino route is the Camino Francés or French Way starting in St Jean Pied de Port, in the French Pyrenees. 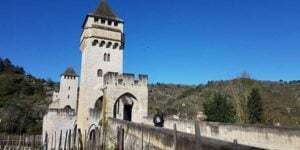 8 -The trail from St Jean Pied de Port to Santiago is 800kms long and takes approximately five weeks to complete but you can start your Camino at any point. 9 -You need to walk at least 100kms into Santiago to receive your Compostela certificate. 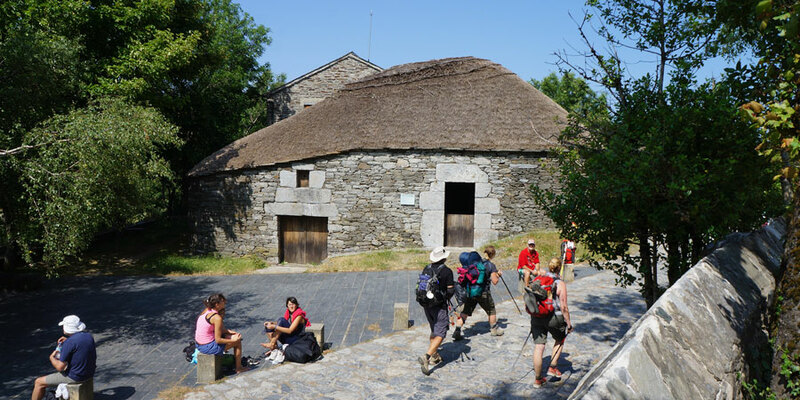 10 -This makes Sarria (111kms away from Santiago) the most popular starting point for walkers. 11 -You will need to cycle at least 200kms to Santiago to receive your Compostela certificate. 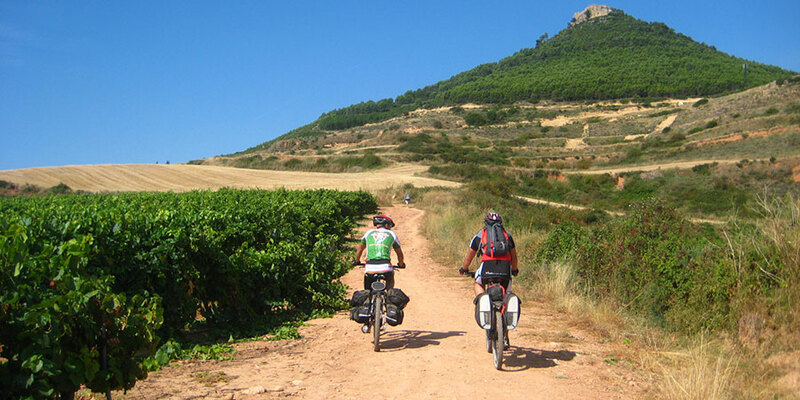 Cyclists on the Camino are known as ‘bici-grinos’ (bike-pilgrims). 12 -Over 300,000 pilgrims arrive in Santiago each year and receive their Compostela certificate. Many more walk different sections of the routes. You have to travel for religious/spiritual reasons in order to receive the Compostela. 13 -If you walk the Camino for cultural or non-religious/spiritual reasons, you can receive a certificate of welcome. 14 -The pilgrim passport (credencial) needs to be stamped at least once a day; or twice a day if you are starting your Camino in Galicia. 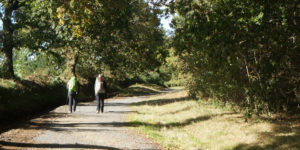 15 -The stamped pilgrim passport is required to stay in first-come first -served ‘albergues’ (public hostels), and walkers take priority over cyclists. Public albergues can not be booked in advance. 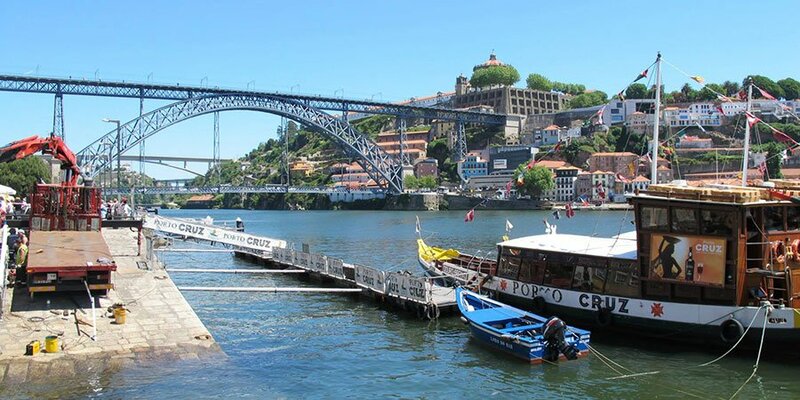 At CaminoWays.com we book accommodation with local guest houses and hotels so you don’t have to worry! 16 -The 12th century Codex Calixtinus is the oldest Camino de Santiago ‘guidebook’. 17 -The Camino is a long-distance trail with thousands of kms across Europe. The ways will combine off-road tracks with country trails, small roads and pavement, particularly getting in and out of bigger towns and cities. 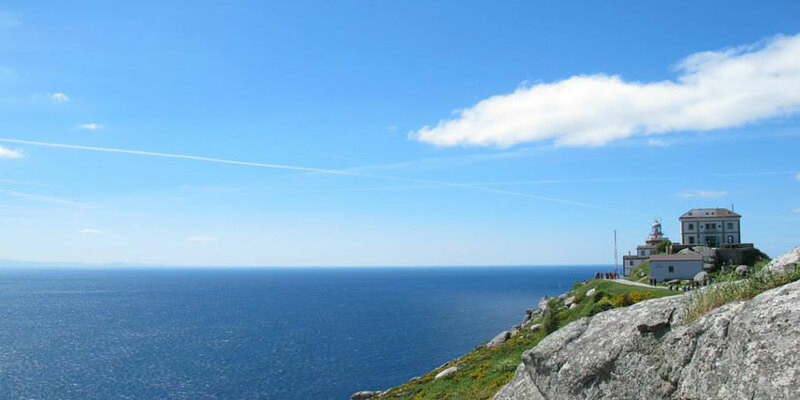 18 -KM 0 of the Camino is actually not in Santiago but in Cape Fisterra, by the Atlantic Ocean, considered to be the ‘end of the world’ and a place of magical powers for pre-Christian communities. 19 -25th July is St James Day, a holiday in Santiago and Galicia. If 25th July falls on a Sunday, it will be considered to be a ‘Holy Year’ or Ano Xacobeo. 20 -Santiago de Compostela old town is a UNESCO-listed heritage site since 1985 and its University dates back to 1495. 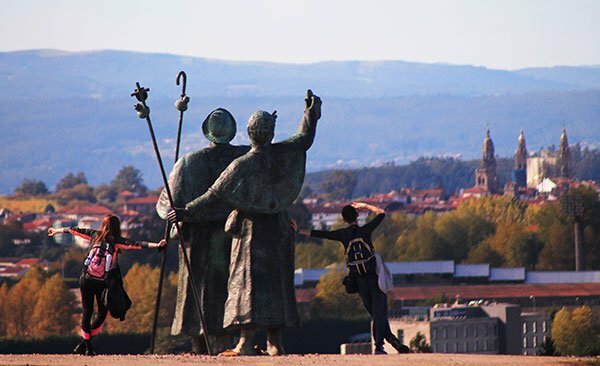 The Council of Europe named the Camino de Santiago as the first European Cultural itinerary in 1987 for its important role encouraging cultural exchanges since the Middle Ages. In 1993, the trail was listed as a UNESCO World Heritage Site. You might also want to download our free Camino de Santiago Beginners Guide. Hi Dawn, are you looking to do the Full Camino Frances? We would highly recommend reading I’ll Push You the book by Justin Skeesuck and Patrick Gray, really inspirational. Accessible lodgings can be a challenge as some of the towns are quite small and accommodation is limited. I would like to do the full journey by mobility scooter with a walking carer, can I get advise on accessible lodgings please.Is there a book written with advise and ideas? Hi Anna, thank you for getting in touch. That’s a really good question. Are you walking the full route or a shorter stretch? It is totally up to your personal preference, but if you plan your itinerary with reasonable distances to walk each day and include rest days (one each week at least) there is no reason why you couldn’t make it to Santiago on that special date. Let us know if you require any assistance. Kind regards and Buen Camino! I’m looking into doing my first Camino this Spring. There’s a certain day I’d like to complete my Camino by. Is it a good idea to set myself a time limit for the Camino? Or should it be something that I allow myself to take however much time it takes me? Dear Linda, thank you for getting in touch. Wishing you a lovely trip. There are local bus companies connecting the towns along the way. If he is looking to walk only part of the trail each day, it might be easier to arrange a taxi. Let us know if we can help. Kind regards. My husband and I and two other couples will be walking El Camino in the fall of 2019 starting in Sarria. My husband will not be able to walk as far as the rest of us. Is there a bus that could take him to the next village? We will have our hotels all pre-arranged. How do the Santiago-pilgrims recognize each other? Hi Sandra, thank you for getting in touch. You can see the full Camino del Norte itinerary here: https://caminoways.com/ways/northern-way-camino-del-norte/northern-way-full-way. Our packages include accommodation in guesthouses and hotels, let us know if you would like to receive a quote or itinerary. Kind regards.